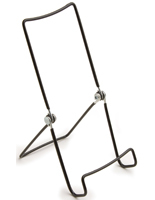 These Wire Easels that Support Small Merchandise are Adjustable! Set the Appropriate Angle with Ease to Accommodate Every Viewer! 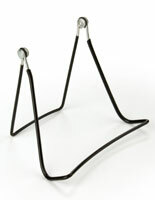 These Wire Easels are Shipped Fast from Our On-Location Warehouse! 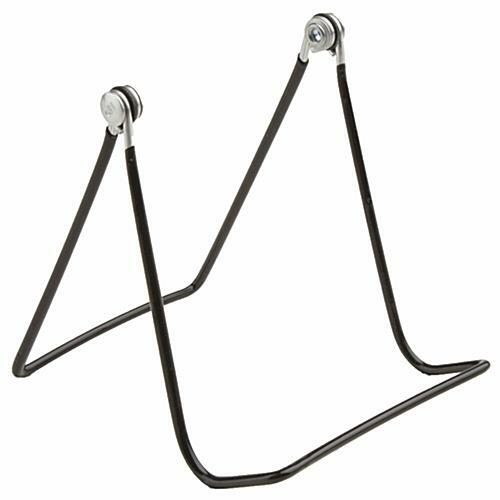 These wire easels are great for displaying novels, CDs, DVDs, cookware, electronic accessories, stationery, and other merchandise. 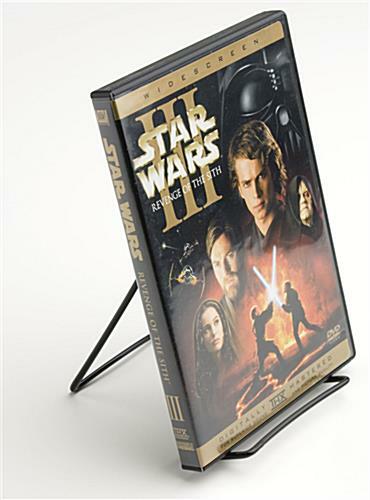 The display stands can be adjusted to the angle that is optimal for the specific goods being showcased. 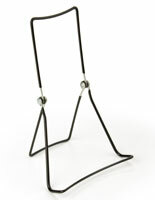 These wire easels make collectibles, like china or decorative art pieces, look elegant and unique. The simplistic design blends perfectly with any interior design scheme, from vintage to modern. 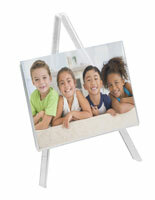 The wire easels feature a 1-1/2"d lip that securely holds collectibles and other merchandise. 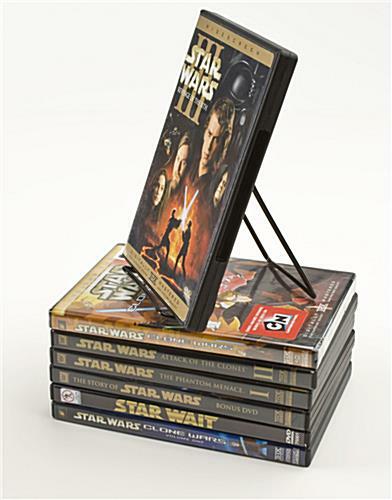 The book holders, wire easels are manufactured from a vinyl-coated steel wire for durability. 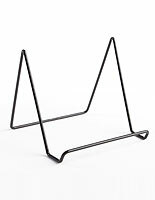 As a result, the stands can be used in all kinds of bustling environments, from gift shops and bookstores to libraries and retail stores. 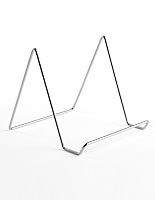 The wire easels, also known as folding tabletop displays, collapse for effortless portability and storage. 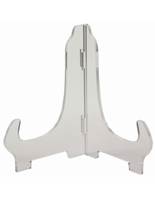 The foldable holders are very popular at mall bodegas, art galleries, and book signings. 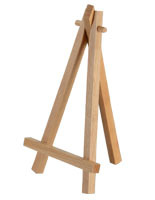 The wire easels provide many presentation possibilities due to the compact and efficient design.